Last month, when I started the interview series, we talked to Zsolt Kiss about Iceland and about landscape photography. Here I am, one month later introducing to you Poveşti săseşti, a blog about the Transylvanian Saxons in Germany and Romania. It is written by a dear friend of mine, Mihaela Kloos-Ilea, with whom I had a chat about the project. We met online after both of us took part in the Internship 2.0 held by Sorin Tudor. I met Mihaela personally last year in Munich and we stayed in touch. I have to tell you I first saw the link to Poveşti săseşti on Facebook, and without knowing who was behind it, I loved the idea of a blog telling stories about the Transylvanian Saxons. I therefore invite you today to read a story about the blog and about the Saxons. How did the Poveşti săseşti blog come to life? Poveşti săseşti (translated Transylvanian Saxon Stories) have long been just an idea that gave me no peace. Two years ago, I attended a meeting of the Saxons comming from my father’s native village. 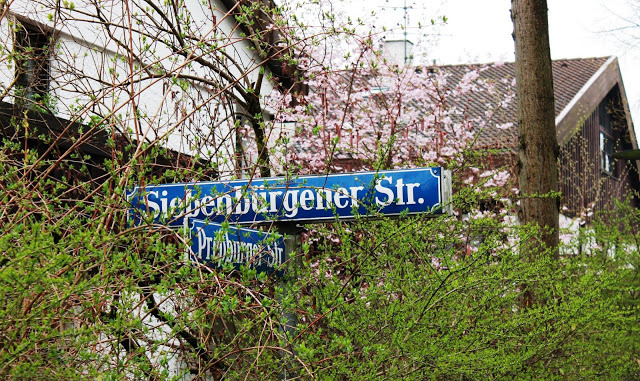 It was held here in Munich, in a very restrained and nostalgic setting, in which a handful of people greeted each other, happy to meet once again, telling stories and memories about a beautiful world. It was only me, by far the youngest in the room, that did not know anyone. I remember trying to retain faces, details which I could later tell my father in Romania. I was very impressed by that meeting, by then I had never taken part in such an event, and there were some images that followed me long after. 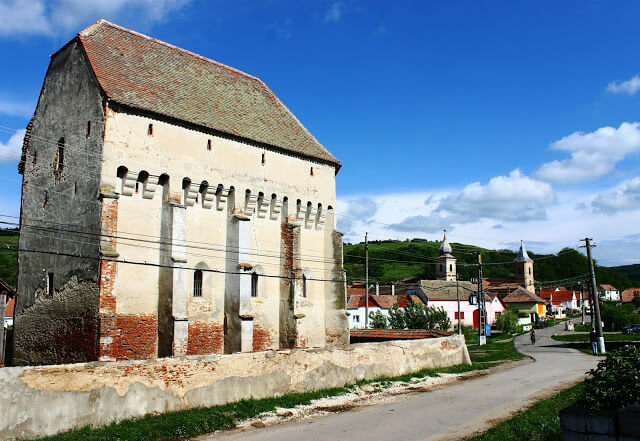 Such as a picture of the evangelical church in Transylvania, auctioned.on the stage. After that I just wrote an article published on webcultura, but I kept having the feeling that I could do something more, a kind of “scene” that would gather all these people, with their immense nostalgia and beauty. Who is the public of this project? I wish for my blog to be a community where anyone is welcome and feels like home. 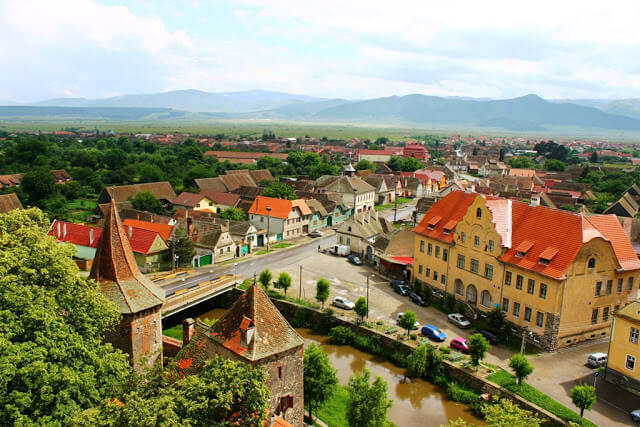 It therefore addresses anyone who loves the people and places of Transylvania, regardless the age or ethnicity. Poveşti săseşti is a return home, a rediscovery of forgotten stories, remote places and unknown people. 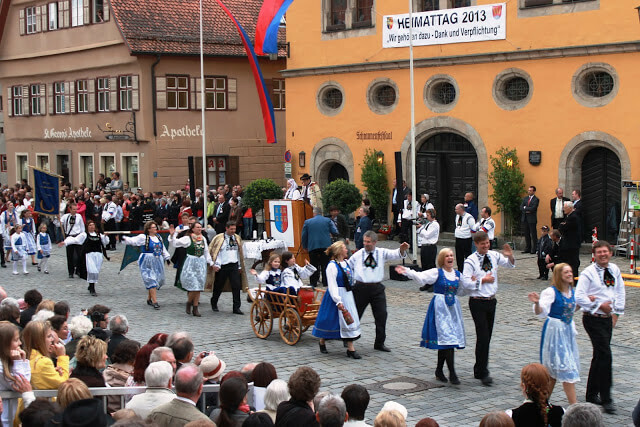 At the same time, it tells stories about the present life of the Transylvanian Saxons now living in Germany. These Saxons are alive and kicking, they continue the traditions they brought along and it’s an honor for me to show this wonderful present to the ones living in Romania. The Transylvanian Saxon stories build the gap between the two countries. I do not address only Romanians or only Saxons, I wish this to be a place where the differences do not vanish, but are understood and appreciated as enriching, as part of who we are. I think we little know each other. The history we are taught in schools has its many shortcomings and we would be really superficial to stick to a few nice photos when we visit a fortified church in Transylvania. There is much more beyond that. What themes do you choose for your blog and how do you choose them? As the motto says, I write about the Saxons of the past and from the present. I follow their footsteps in both Transylvania and Germany trying to outline a clear and complete image of their identity. 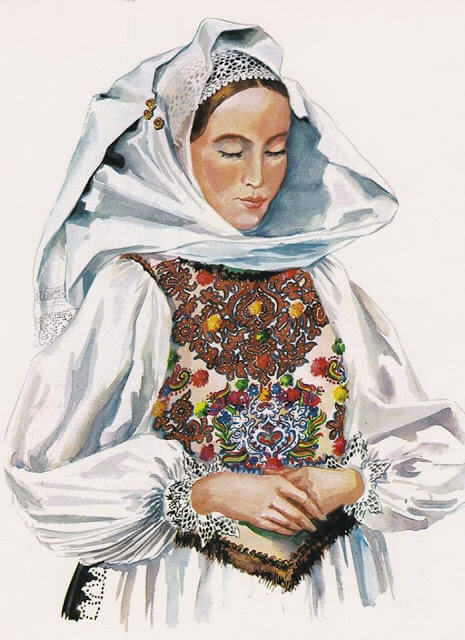 Therefore I write about traditional costumes, settlements, beliefs, holidays, crafts, legends, aspects of the daily life. I don’t consider myself as the spokesman of a nation, I just bring a small and hopefully beautiful, meaningful contribution. At the same time, one reader made a very good observation: that this blog is not just about history and anamnesis regarding the Saxons. Here is also Romania, their former homeland and its present. I wish to keep a balance between Romania, Transylvania – the home of yore and Germany – the home of today for more than 200.000 Transylvanian Saxons (and me). Contrary to the social media strategies, I rarely plan anything. I only post when, if and what I find interesting, without feeling the pressure of saying something on a daily basis. I write only when I really have something nice, worth sharing. I met some wonderful people, also in real life, through the blog. Some of them became dear friends, with whom I regularly keep in touch. A great part of the those over 1,700 names are a constant presence on the blog and Facebook page and have turned this into a communication spot. People gather here, comment, send their suggestions, materials. What is the greatest satisfaction which comes from this project? I am very happy when the content comes not only from me, but also from the readers that are inspired by my writing and send family photographs, old postcards or rare archive images. I also wrote some articles at the request of my readers. When someone entrusts me a personal life story, or family pictures, it’s a great proof of trust and appreciation for what I do. One may think the great challenge is to rely on culture. I don’t see it like that. I created a niche blog, which has its growing and well selected audience. I am very proud of my public. The challenge is to keep this project independent, backed by only one person, whose name is unknown. I have no sponsors, no contributors, I am not part of the “blogosphere”. That’s why it is both beautiful and it involves a great amount of work. I will keep it this way, as it brings great satisfaction. The real challenge is talking about a minority, regardless of its type. Even if the Saxons probably have the best image among the ethnic groups in Romania, one cannot ignore certain former enmity, unhealed scars, or present resentments. I knew this from the very beginning, that’s why I pointed out that I won’t allow this to be turned into a battle field of egos. I don’t want to create an artificial image, but I really believe nothing good can come out of hatred and prejudice. I wish my writing could help us accept and respect each other for what we are, bringing the best in each. I come from a mixed family and I could never choose between Saxons and Romanians, because ethnically speaking, I am both. I can not choose between my mother and my father. Did you get any partnership proposals from other blogs in the same niche? Yes, there were more offers than I expected. I gladly accepted some of them, the others I turned down, as they didn’t fully understand what my work is all about. The most important ones are the suggestions coming from unknown, discreet people, those thesaurus-people, as I call them, who live a common sense life, without showing off their name and knowledge. They will always be a priority. I equally cherish a site that also brought us together, Webcultura. I will always be grateful to Sorin Tudor. A few months ago I was invited to bring my stories on air, at Freies Radio für Stuttgart in Daiana Maties’s broadcast, Zig Zag de Romania. It’s a great chance to learn about the world of radio broadcasting and it is an honour for me to tell the Romanians living in Germany stories about the Saxons and about Transylvania. There is one more bold project, which gained my trust and I am happy to be part of it. It’s about a study book for the 3rd to 5th grade students, about the local cultural heritage of the Brasov County. This is an initiative of the School of Piscu, who have already launched a similar study book about Ilfov County. The purpose is to have such an alternative study book in each county. It combines teaching and editing work, so for me it’s in many ways an ideal project. There are other websites which are quoting my articles, but I’ll let you discover them on your own. How did your audience respond to your project and how do they interact with you? Figures indicate that this blog is really appreciated. I can not brag about a huge number of visitors, but I am very proud about the quality of the audience. The same figures say that a visitor reads more than one article, which shows their interest in what they find here. There are usually few comments on the blog, the discussions are mainly held on the Facebook page, and the interaction is somehow unusual, which makes me very happy. Of those more than 100 articles, there are at least 15 that I wrote based on exclusive “real life stories”, starting from a family photograph or a chronicle my readers sent. This way we are writing another kind of history, made out of authentic experience, of small life stories. The simple people are the heroes of Poveşti săseşti. I must ask, which story on Poveşti săseşti do you like more? I don’t have a favorite story, it’s hard for me to choose. This blog is a breath of fresh air for me, a way to keep writing – a full time job – and to be in two places at the same time. Poveşti săseşti wouldn’t have existed if I remained in Romania. I put my soul in every word, addressed to everybody, even if when I write, there is always only one dearest person in my mind. Can you tell us a little bit about your future plans? A little preview for your readers? Soon there will be the great opening of the Oktoberfest Beer festival in Munich, where the Transylvanian Saxons have always had a really special presence. And I will be there, between the beer mugs, to take pictures and tell stories about this event. I’ve also bought a drone, so I hope to come back from my future visit in Romania with very nice videos of the former Saxon villages. Bottom line, Poveşti săseşti will always be my project closest to my heart, I won’t make any compromises just for the audience’s sake, and I will always highly value each opinion. I know that behind each like there is a person. Hanklich, desertul tradiţional al saşilorThat was all from my side, and I can only encourage you to read some of the articles on Poveşti săseşti I liked most. I’m positive you will find you own favourites. 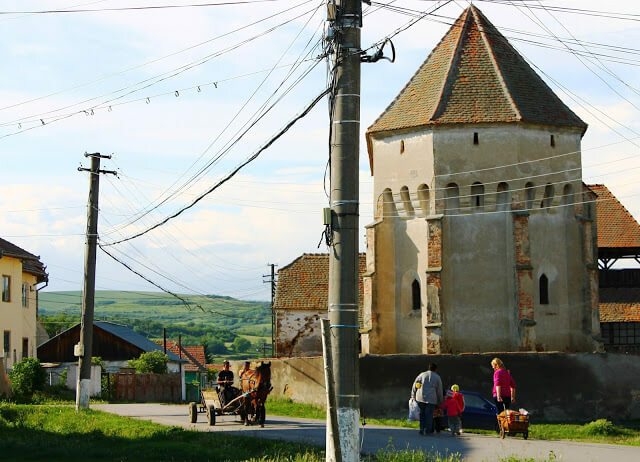 In INSPIRATION, POVEȘTILE LOR Tagged discover Romania, English, interview, povesti sasesti, Saxon, transilvania, Transylvania Bookmark the permalink.